Depression is a real emotional disorder that affects more than 19 million Americans each year. It's a mood state that goes beyond feeling down and sad, but also affects one's behavior, vitality, anger levels, physical health. Also, women are 70% percent more likely to have depression than men. There is no single cause of depression. People develop it from different sources and triggered by different factors. For example, a stressful life event like bereavement, illness, divorce, financial worries, and usually different factors are combined together which triggers depression and even lead to a severe one. 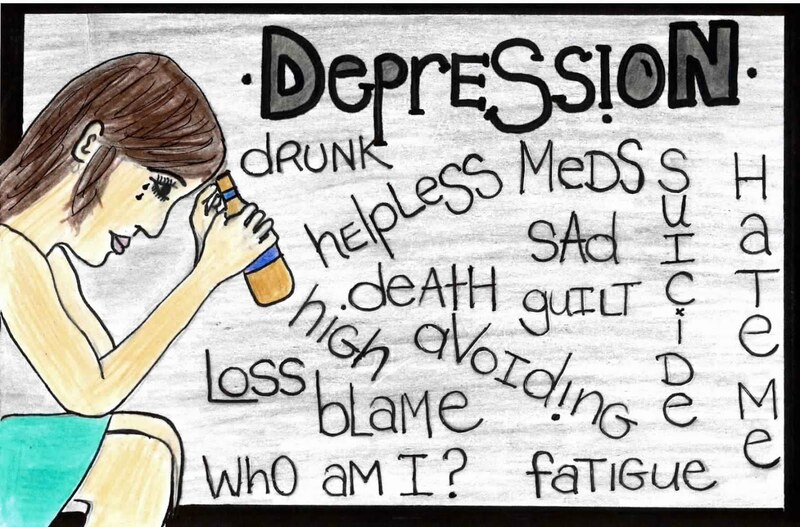 Depression is a serious disease that if left untreated can be dangerous and debilitating. The following symptoms can affect daily lifestyle and health. Exercise regularly, especially jogging, walking outside where you can get fresh air to clear your mind. Connect with people, join some social activities in your local area and maybe volunteering. Increase from the following foods: dairy - fish - beans - chicken - bananas - chocolate cookies. Drink a tea herb called borage tea, soak a small teaspoon of borage dried herb in a cup of boiled water for 10 minutes, take an average of three cups per day. Drink a tea herb called St. John's three times a day for two consecutive months in order to get a continuous and obvious effect. Blend the following: 4 tablespoons of sesame seeds + five kernels of hazelnuts + big tablespoon of fennel, until you get a powder of them all, add 4 tablespoons of milk + 4 tablespoons of sesame oil + 4 tablespoons of honey + 4 tablespoons of sugar, Combine all the ingredients and place the mixture over low heat for half an hour, pour the resulting liquid into a bottle and keep it in the fridge, eat a small teaspoon of this mixture three times a day. What are the things that helped you overcome depression?